Things can’t possibly get worse for Tabby. Framed for her boss’s dodgy dealings, she’s landed up in prison. Then Tabby’s boyfriend dumps her and gives her cat away to a shelter. But rescue comes in the form of Mercy. A master of saving waifs and strays, Mercy wants Tabby to breathe new flair into her ailing cracker business. Together, they’ll save Marwood’s Magical Christmas Crackers. But someone’s not happy. Mercy’s nephew Randal thinks Tabby’s a fraudster. Stubborn, difficult and very attractive, her future depends upon winning him round. Standing under the mistletoe, Tabby’s Christmas is set to be one that she will never forget . .
A Christmas Cracker features Tabitha Coombs, or Tabby as she is known and starts off with her getting ready for her début exhibition- shes an artist, specialising in paper cutting but also in Christmas card design. She's relying on the exhibition to do well as currently is in a mundane job packaging up champagne and chocolate gift sets, only her boss is passing cheap plonk off as the expensive stuff, and Tabby confides this in Kate, a friend of her fiancée. During the exhibition we are also introduced to Charlie and Randal, Charlie works in TV exposing fraudsters and Randel looking into holiday hotels from hell. The story moves swiftly on to Tabby not only being arrested for fraud but also being sent down. Whilst serving time at Her Majesties pleasure, Tabby is visited regularly by a prison friend who sets her up a meeting with Marcy Marwood, a generous lady and really loveable character and a do-gooder, who not only offers Tabby a job on her release but a home too. Marcy lives at Moat Farm, where there is also a cracker factory, which is in dire need of a makeover and turnover. Her nephew wants to open it to the public as a tourist attraction and cafe but Marcy believes that the cracker factory should remain and enlists Tabby to help design and revamp this. Unbeknown to Tabby, the elusive nephew is none other than Randal!! Blond moment over, the book was now in full flow of what was a really enjoyable Christmas story. There was lots going on, from the history of the Marwoods being Quakers, to Tabby's best friend being in an unhappy and emotionally abusive marriage, and Randal's soon to be wife having it off with Guy who was also flirting with Tabby! I found the jokes got sillier and cheesier as the book went on, but that's how they are suppose to be isn't it? The characters were all likeable and relatable, even Randal who was a miserable Scrooge at times! Normally Christmas Crackers come with a joke, a daft looking paper hat and some naff plastic toy. This Christmas Cracker came with humour, snow and a good ole' festive love story ending! I would like to thank Avon for providing me with a NetGalley copy of the book in exchange for my honest opinion. 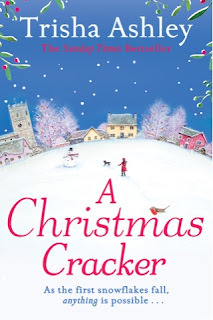 Holly Martin has done it again, not only has she written one fabulous Christmas book this year, she's actually treating us to two! 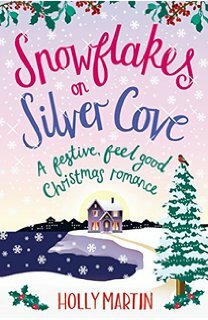 Snowflakes on Silver Cove is the second book in her White Cliff Bay series, the first being Christmas At Lilac Cottage - read my review here! As with Christmas at Lilac Cottage, Snowflakes on Silver Cove can be read as a standalone book, however, I personally prefer to read in sequence and I do think that your experience will be inharnced if you do, particually in this series as there are little things that happen in which you can think back and cross reference... Its a nice touch. 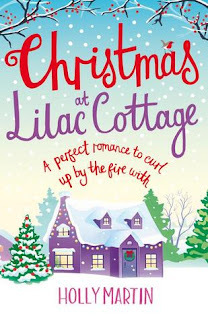 Where as Christmas At Lilac Cottage is based completely around Penny and Henry's story, in Snowflakes on Silver Cove we have two main characters, Libby and George, and two sub characters, Seb and Amy. .. plus a few names mentioned in both books. Libby is a successful writer who is struggling with her latest book. Since the death of her mother she's moved from place to place staying no longer than a few months and not committing to any real friendships. She arrived in Silver Cove six months ago and with Christmas just days away shes at a loss with her writing process and undecided on whether to move on. George, is Libby's best buddy and neighbour is also at a bit of a loss, only in the relationship department. He's madly in love with Libby yet decides with her moving on its best if he pushed those feelings aside and concentrates on getting back in the dating game. He comes up with a plan in which he hopes will benefit them both - pretend dates. As Libby and George go on a series of these pretend dates, the plan being a little romance with spark her writing again and boost his confidence, Libby starts to feel feelings for him that is more than just good friends. Its clear to their circle of buddies that both have feelings for each other yet its not clear to them. As Christmas Eve draws closer, George goes on an actual real date and Libby gets jealous - will they come clean on their feelings for each other before its too late and Libby leaves? Meanwhile, the other couple, Seb and Amy, have no qualms with making their feelings clear. Seb is the local landlord and has been widowed for the last 5 years. He has feelings for Amy but feels guilty acting on them out of respect and a promise he made to his mother in law - that he would never love again. Amy is loud and colourful, everything his late wife wasnt and when his mother in law catches them kissing all hell breaks loose - Can he battle his guilt and be happy again? What I loved about Snowflakes on Silver Cove was that not only was it a great story in itself, but there were references to Lilac Cottage. Not major ones so if this is your first one reading you wont be missing much, it just made me smile when Libby and George visited the ice carving competion for example and we had already been there with Penny and Daisy. 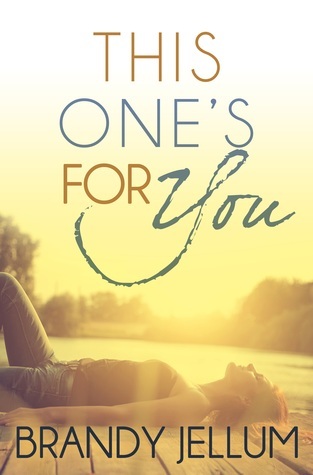 I also loved the whole romantic feel of the book, and in true Holly Martin style it had be laughing away and some of the antics and one liners, but also brought a lump to my throat when Libby and George fell out. Another fab 5 stars from me.... I cant wait to see what happens next in White Cliff Bay! I would like to thank Bookouture and NetGalley for a review copy, this is my honest opinion. 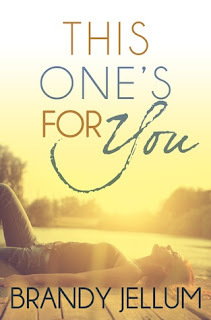 Today I'm pleased to be kicking off the blog tour for Brandy Jellum's novel, This Ones For You, and I'm delighted to bring you an excerpt from the book! 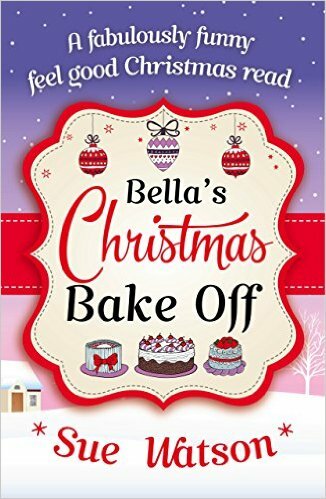 I jumped at the chance to review Bella's Christmas Bake Off after reading Summer Flings and Dancing Dreams by Sue Watson earlier this year. I was certainly not left disappointed by the bake off antics, however you might want to avoid reading it on an empty stomach! Before even starting the book, I could tell that it was going to be a laugh a minute, judging from the imaginative titles for every chapter. This is something I love about Sue's books, the fact that she goes to the effort of summing up each chapter with a hilarious title rather than just plain numbering them. The story begins with Amy Lane, a maths teacher who's husband leaves her three weeks before Christmas (for a woman with a pole in her bedroom no less!!). Life is pretty dire for her at this point, with her children deciding to spend Christmas away from home, she is left on her own. She is then shown St Swithins, a homeless shelter that one of her fellow teachers volunteers at, who will have to go without a Christmas this year due to lack of funding. In contrast, there's Bella Bradley, a successful TV personality who can throw money at everything, cooking with the most expensive and highest quality produce. However many moons ago, Amy and Bella were best friends but were tore apart over a 'secret', something which is hinted at throughout the book but is only revealed much later on. Wanting to get back in contact, Amy has been sending Christmas cards and her mum's recipes to Bella every year but to no avail. That is until Amy switches on the television to watch her old friend to see that she has created a Christmas recipe book, passing off Amy's mum's recipes as her own!! Amy is rightfully angry and when an opportunity comes along to win a week with Bella, Amy comes up with a plan to get her revenge, ensuring St Swithins won't go without this Christmas and hopefully getting a chance to make amends with Bella. I won't spoil the rest of the book for you but it really is a heart warming and hilarious Christmas read. I love Amy and Bella's characters and as Amy steps out of her comfort zone, it's also apparent that despite having everything, Bella's life is not quite as it seems. Sue's informal style of writing makes the book flow with ease and I love all of the references to Nigella Lawson and Mary Berry (not forgetting Bella's sliver fox husband who is reminiscent of Paul Hollywood). Despite tackling some serious issues, Sue puts a positive spin on things, keeping the book light hearted. 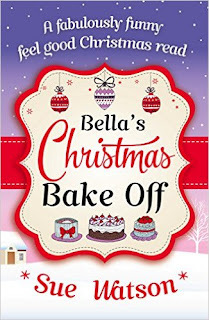 Bella's Christmas Bake Off is a feel good Christmas read that will no doubt get you into the festive spirit and make you want to reach out for a mince pie or two - I give this 4 out of 5 stars. I would like to thank Guest Reviewer Katrina for this fabulous review and the team at Bookouture for a review copy via NetGalley - this is our honest opinion. Throughout the #BookoutureXmas event, I have a chance for you to win a Christmas book bundle to get your festive reading underway! See below for details! This is the first book that I have read from Jenny Hale and quite honestly I loved everything about the book. Abbey is a single mother to 6 year old Max, and this year her Christmas wish is to give Max all of the gifts on his letter to Santa as before now she's been unable to manage that and compared to his buddies he feels like he's on the naughty list. As a qualified nurse, Abbey is a carer for Caroline and it is clear from the onset that they have a tight bond. Abbey's passion though, is interior design and having already transformed Caroline's house, Abbey's story and the book starts with her going to a meeting with Caroline's Grandson, Nick. Nick is a workaholic.Since his Fathers death and inheriting the family business he feels that he ows it to his Dad to make it a success. He doesn't know fun or how to relax, and since his ex wife left him and took most of the belongings, his mansion of a house feels cold and empty. With his Mother, Sister and her family coming for Christmas, Caroline suggests that Nick hires Abbey to revamp his mansion. With the offer of a substantial amount of money, Abbey takes on the challenge - she can give Max the Christmas kids dream of, and help with her Gramps' healthcare. Abbey starts to not only warm the house with rich colour schemes but also decides to add a little festive cheer. When Max is taken poorly he has to go with her and he immediately takes a shine to Nick. as the weeks pass leading to Nick's family arriving and his Christmas Eve party, not only does Abbey and him start to gain feelings for each other, Max and his innocence aids Nick to relax and enjoy himself a little - he just cant seem to concentrate on work or say no to an adorable 6 year old! When Abbey realises she's fallen for Nick, he drops a bombshell that after Christmas he will be moving away to concentrate on his job more. I was wondering where the title of the book came from as we only really knew Abbeys wish, but Max manages to convince Nick to come to 'bring dad to school day' and there the children and adults have to make a secret wish but its not really until the end of the book and the epilogue that we know what they have written. For a while I wasn't sure how the ending was going to be. Despite Nick falling for Abbey he appeared determined to still move away and Abbey was against this as wanted to stay close to her family. 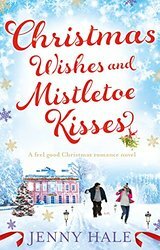 I fell for this Christmas storyline straight away, all of the characters were adorable and easy to like and the book was greatly detailed for the build up to the big day - buying trees, making decorations, visiting Santa - it was very relatable, yet was a complete page turner as you were 100% sure if Abbey and Nick would get together. I wont give away the ending or many more details, but if you are after a warm, festive, heart warming story with genuinely nice characters and beautiful surroundings then this book is totally for you! When the characters laughed, I smiled. When the characters cried, I felt their emotion - it was brilliantly written! 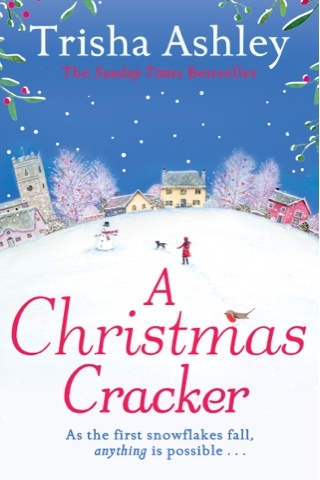 I'm definitely going to be looking for more Jenny Hale books to get me in the festive spirit! 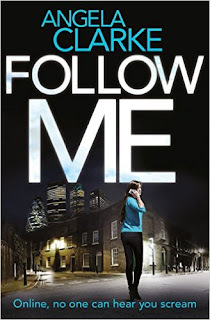 I would like to thank Bookouture and the author for a NetGalley copy of the book in return for honest opinion. Throughout the #BookoutureXmas event I am hosting the following giveaway - see below for your chance to win a Christmas bundle to start your festive reading off in style! As you have probably gathered by now, I'm participating this week in the #BookoutureXmas feature. Throughout the week, I shall be posting my reviews of the Christmas books out this year published by Bookouture. Today though, I'm going to mix it up a little! I love hearing how people spend their Christmas day, you'd think that we would all be doing the same considering its all on the same date, but behind every holy wreath decorated door, there are many different and individual traditions. Growing up for me, Christmas was crazy! There were seven of us in my household (I lived with my mum and brother, plus my aunt, uncle and 2 cousins - hence the crazy!!) and we would start by opening our stockings as some ridiculous hour of the morning in our respective parents rooms before being told to go back to sleep for a little longer!! After we would gather downstairs for mugs of hot chocolate and bacon sandwiches before opening our sacks of gifts from my mum. We had one rule in our house and that was no diving in as it was my mums pet hate, so each year we took it in turns to start the gift unwrapping. Looking back now, I can see the benefits of this, it allowed us time to take in what we had opened and appreciate it whilst the others has their turn. Once this one completed, and I kid you not, it would take us ALL morning, we then showered and dressed before a traditional Christmas dinner, it also gave us time to ring grandparents and my beloved Dad - tradition since his death is now an alcoholic drink rather than a phone call, he'd be so proud haha! After dinner, we would then open gifts from other household members, which took up most of the afternoon. Evenings were spent round close family friends playing silly games and having laughs a plenty. When we arrived home again, we would jump into our PJs and watch a festive film if we could stay awake long enough. Boxing day morning we would finish opening gifts from other family members such as grandparents and aunts and uncles, whilst the afternoons were filled with football matches if a home game, or chilling out with our new bits and bobs if away. "Christmas Eve will be spent at a friend’s house, we'll eat all day, play silly games and argue over the rules of our secret Santa competition which normally involves some complicated method of selecting who gets to choose a mystery present first, arguing over how many swaps we can do and who has bought the best present. We'll wear silly jumpers and roast marshmallows on the fire, we even stand around the piano and sing carols,badly. Christmas day is with my mom and dad, we'll have bacon sandwiches for breakfast, open presents then have our turkey lunch followed by playing games in the afternoon." "We will be baking the day before Christmas so that we can leave cookies and milk for Santa. We don't have a chimney, so we leave an enormous, iron key outside on Christmas Eve. This allows only Santa to enter our home while we're sleeping. In the morning--Dare I call it morning? It's usually four a.m.--the kids wake us up and we go downstairs to see Santa's loot. After, we eat breakfast and then unwrap the gifts from our family. Once the floor is covered in wrapping paper, boxes, and new things, we lounge around the house as a family and have a pretty lazy afternoon"
"I have no idea yet! Last year my mum and step-dad came for a couple of nights and I did the turkey dinner! I'm hoping I might get invited somewhere so I don't have to cook. I've cooked for the last three years! I hope my mother-in-law is reading this... I'll help wash up!" "I always spend Christmas eating … sometimes I stop eating to bake, then I eat what I’ve baked and the cycle continues until New Year when I find myself standing in a long queue at Weight watchers! This year we are spending Christmas in Manchester at my mum’s which I LOVE because it feels like a holiday. Mum always makes the house look and feel so Christmassy, you walk in to cinnamon warmth, the tree glitters and the fairy lights twinkle – just arriving at Mum’s means Christmas is here and I’m like a child again. The cupboards groan with extra special Christmassy food and Mum makes thee most delicious Christmas dinner which I enjoy all the more because I’m merely the sous chef and spend most of my time drinking and talking while the dinner gets made. As a wife and mum who works from home I really appreciate staying somewhere different and having someone else cook – and Mum’s a far better cook than I am so I just know Christmas dinner will be fantastic as always. My mum is also a great baker and makes the most amazing Christmas cakes and mince pies which I enjoy throughout the season. So as I stand in that Weight Watchers queue on a cold January morning in 2016 I can always say it’s not my fault – it was Mum’s wonderful cooking that did it!" 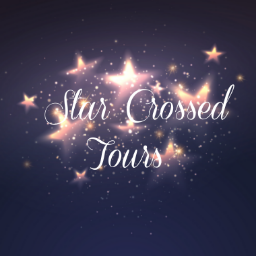 I would like to thank Holly, Jenny, Mandy and Sue for taking the time to share their Christmas day's with us, and a huge thank you to Kim @ Bookouture for organising their responses. I would LOVE to know how you spend your Christmas ~ why not comment below and let me know? Well, I'm completely and utterly passing the blame 100% over to Holly Martin! I started Christmas At Lilac Cottage yesterday afternoon but had a major headache so although I was reading it, it was a slow process. After a late afternoon nap, headache gone I was keen to get back to White Cliff Bay, the picturesque setting for the book. Only phone calls and cooking dinner and then shouting at the rugby from the other room got in my way. Once sorted I decided the best thing to do was start again. I devoured through the first 5 chapters and had completely been sucked into Penny and Henry's story. Firstly let's start by looking at the cover - it's gorgeous and from the moment it downloaded I wanted to read but was tied to other review commitments. There's snow and Christmas lights and more snow... with lilac cottage in the middle looking warm and inviting. Bookouture certainly know how to do a cover don't they? 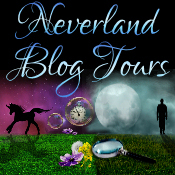 I first discovered Holly Martin back in the summer with her fabulous novel, Fairytale Beginnings which you can read my review of here. I love the way Holly writes, completely drawing you in with descriptive words and quirky locations. Christmas At Lilac Cottage didn't disappointed in this department. From the moment I started reading and Penny was taking her mince pies from the oven I knew this book would be brilliant. Penny Meadows is lonely, and no one wants to be lonely at Christmas. She's decided to let out the annexe to Lilac Cottage and is expecting Henry and Daisy Travis any moment. Henry arrives alone and quite simply is a grump after getting lost en route. Things don't get off to a good start between the pair, Penny is hoping her tenants will become her friends, casually popping in through the connecting door for a cuppa, whilst Henry think this is outrageous and instantly insults Penny by slamming the door shut and pulling a bookcase over to block it. When he realises he was rude he is apologetic and you can instantly feel the attraction between them - credit it Holly for her brilliant writing here as at times I felt like I was in Lilac Cottage watching their story unfold live! Sparks fly between them until Penny meets Daisy - Henry's sixteen year old daughter - and she accuses him of being a pervert having such a young wife. Daisy is in fact his daughter, and finds the whole situation hysterical. As much as I loved both Penny and Henry, Daisy was my favourite character. She was life a breath of fresh air with her ways and banter with her dad but she's had a tough time growing up without a mother and as Henry gets closer to Penny he keeps their relationship secret until Daisy has fully settled in White Cliff Bay - well that's the plan! Penny has had her heart broken before so letting in Henry is a big thing for her and when they go on a date it comes much to the villages delight, in fact they all rally round to do her hair, waxing and dress shopping! Penny also grows close to Daisy as they share a love over art, Penny is an ice carver and takes the girl under her wing within her trade. Although the book is based over a two week period and is building up to the villages Christmas eve charity ball, there's a lot going on. Penny is busy with her job yet is invited to things such as ice sculpture competitions, she also saves a drowning boy and almost dies in a freezer. Henry is super over protective, but looking forward to his new job until he meets the female CEO who makes a pass at him! Then there's Daisy who is getting closer to Penny's assistant Josh and confides in Penny about taking her relationship with him further... and it's this that finally puts Penny and Henry's relationship on ice (excuse the pun) before its even really begun! 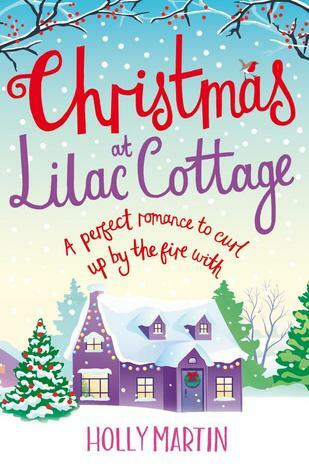 Christmas At Lilac Cottage is everything you would want from a festive read. There are funny laugh out loud moments which had me cackling into my duvet at 4 am, plus real heart wrenching, eyes watering moments, but all in all it is just a perfectly good love story based around the festive season - what more could you want other than a 5 star rating! ! Christmas At Lilac Cottage is the first book in Holly's White Cliff Bay series, the second book being Snowflakes on Silver Cove. Each book can be read as standalone novels, and there are little things that you would notice more from reading both, like characters and locations being mentioned, however it doesn't matter which order you read them in. I would like to thank Bookouture and NetGalley for a review copy. This has been my honest opinion. 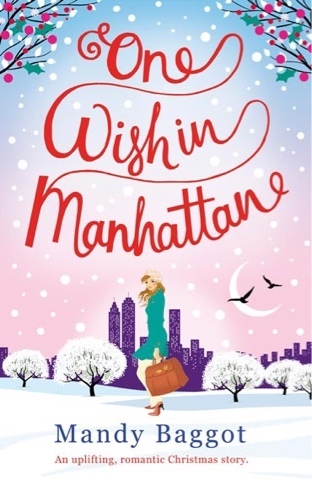 I'm a little shocked with my self that I have never read a Mandy Baggot book before now... why I will never know because I have just finished reading One Wish In Manhattan and quite frankly it was blooming brilliant! The book is based around the lives of Hayley Walker and her nine year old daughter, Angel, as well as taking a look at the life of American Billionaire, Oliver Drummond. Hayley once had a dream. She has an eye for fashion and that is where her passion lies but as a result of a one night stand ten years ago whilst in New York, her plans, much to her mothers disgust, have been put on hold due to the arrival of Angel. Angel's Christmas wish is to meet her Father and Hayley is determined to do just that, but online searching hasn't quite worked out for her. Hayley is pinning all her hopes on a trip to New York in hope of some leads, Angel on the other hand thinks the trip is just to visit and spend the festivities with Uncle Dean. Oliver is a billionaire after inheriting his fathers business, yet something is missing in his life. He works all day and seeks out beautiful women in the evening by asking them their one wish and making it happen before bedding them... anything to take his mind of the death of his brother and dad and the family curse he is so convinced will end his life too. Hayley and Oliver meet on her first night in NY when she helps him escape through a fire exit. There is an instant attraction and flirty banter. When he tries his usual line on Hayley she replies that her one wish would be to find Angel's dad. Over time and a few run ins later, the pair spend more and more time together, all the while trying to fight their try feelings - Hayley because she has Angel to think about and is only in the country for a few weeks and Oliver because he believes he shouldn't get close to anyone as he will soon die! Whilst the Hayley and Oliver will they wont they continues, we are introduced to other characters yet the saying "Its a small world" is true in this case. Oliver is launching a new tablet set to take over Apple and his top designer is Dean.. yeah Uncle Dean, Hayley's brother Dean... so you can see how the characters interlink. My favourite character of the story was by far Angel, she's referred to as a walking encyclopaedia but the way everything was written, her one line answers and nature was completely relatable to any nine year old I know! I know I've been completely vague with the details here but I can assure you that One Wish In Manhattan has everything you would want from a Christmas novel. It was warm and humbling, had me laughing at the conversations between Hayley and Angel, and brought tears to my eyes during the more serious parts around Oliver and his heart. There was snow, a lot of snow actually, and carols and New York was described well making you feel like you were there. I enjoyed the style of the book, Jill Mansell is one of my favourite authors as I love the way she takes just a handful of characters and makes their paths cross and gives the story from both sides of the main ones, and I'm my opinion, Mandy did this equally well which made it a delight to read. I will definitely be looking out for further books from Mandy Baggot if they are as sparkly as this one! I would like to thank Bookouture and the author for a NetGalley copy of this book - this is my honest opinion. Mandy Baggot is an award-winning author of romantic women’s fiction and a member of the Romantic Novelists’ Association. A contributor to writing blogs and short story anthologies, she is also a regular speaker at literary festivals, events and women’s networking groups. Mandy loves mashed potato, white wine, country music, Corfu and handbags. She has appeared on ITV1’s Who Dares Sings and auditioned for The X-Factor and lives in Wiltshire, UK with her husband, two children and cats Kravitz and Springsteen. The review for Not Quite Perfect is brought to you by guest reviewer, Katrina. Emma has everything she's ever wanted. Her boyfriend's just proposed and her career has finally taken off. And so what if her latest client just happens to be downright gorgeous? She's getting married. Isn't she? Rachel's married with 2.4 children (well, actually, 3) and life is all about trying to leave the house in a non-stained top. Once it was about skinny cappuccinos, cocktails and dynamic ad agency meetings. She wants her old life back, but can it ever be the same? A sparkling, funny tale of two sisters and how often you don't know what you've got until it's gone. 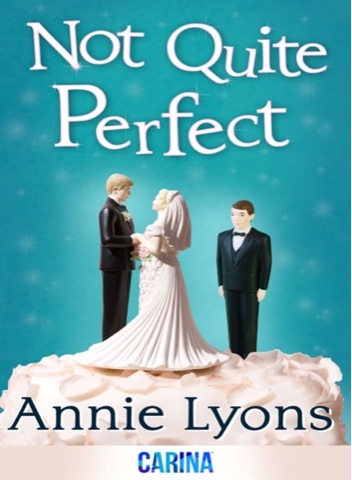 Having recently read 'Life or Something Like It' by Annie Lyons and enjoyed it greatly, I decided to give 'Not Quite Perfect' a go. I was definitely not left disappointed by this hilarious page turner! The story revolves around sisters Emma and Rachel. Emma is a successful editor at a publishing house and is newly engaged to Martin. However, when Richard Bennett and his up and coming book comes along, Emma is left questioning what she really wants in life. Rachel on the other hand is happily married to Steve and has three busy children to cope with. When Steve announces that he's been offered a job in Edinburgh, the couple's relationship is put under pressure. Also jumping to the conclusion that her husband might be having an affair, Rachel turns to handsome neighbour Tom for attention. The author uses dual POV's which allowed a better story telling perspective although I did find the change in POV's slightly rushed at times. The book title is also very appropriate as neither sister is perfect however both Emma and Rachel are great characters and ones that you can relate to on many levels. You feel very involved in the book as Annie does a great job of bringing the characters and storylines to life. One of the most entertaining characters is Lily, Rachel's daughter who is a sassy mini-me version of Rachel despite her young age. Some of her comments will make you laugh out loud although she did border on being annoying at times. There is a big family element in the book and you find yourself rooting for the characters. At times it felt as if you were a fly on the wall in the Darcy family households. I don't want to spoil the book for anyone but I will say that the comedic moments were matched with elements of sadness. Overall it was a brilliant read that I really enjoyed. I like Annie's style of writing and I found the characters to be endearing and reminiscent of people that I know in real life. 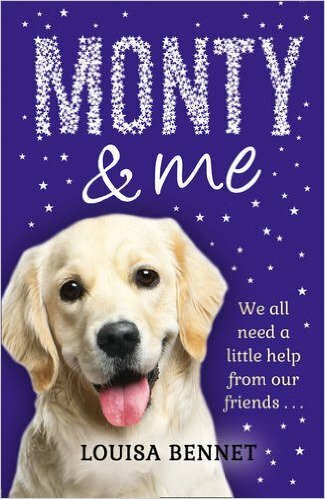 Introducing loveable dog detective Monty – the must-have book this Christmas! As dawn breaks over the Pont Neuf, and the cobbled alleyways of Paris come to life, Anna Trent is already awake and at work, mixing and stirring the finest, smoothest, richest chocolate; made entirely by hand, it is sold to the grandes dames of Paris. It’s a huge shift from the chocolate factory she worked in at home in the north of England. But when an accident changed everything, Anna was thrown back in touch with her French teacher, Claire, who offered her the chance of a lifetime-to work in Paris with her former sweetheart Thierry, a master chocolatier. With old wounds about to be uncovered and healed, Anna is set to discover more about real chocolate- and herself-than she ever dreamed. This book immediately throws you in at the deep end because you are trying to work out what has happened. Anna is set to make a new start after an accident and with the help of her French teacher; she immediately finds what she never had before. When in Paris she falls in love with not only the city but a man too. We see the love chase of the two young lovers and then we see how a new start can really change everything. This is the ideal dream for anyone and so this book allows your mind to go off to Paris with Anna and imagine what it would be like. The end of the book is left on a cliff-hanger and you're left wanting to know what happened. This book is an easy read but you just want to keep reading. It is a perfect read on the beach on holiday or if you want something to take your mind away from reality. I would recommend this book to anyone because you feel like you are placed right in the centre of the story and it leaves you guessing throughout which is what makes it a lot more interesting. 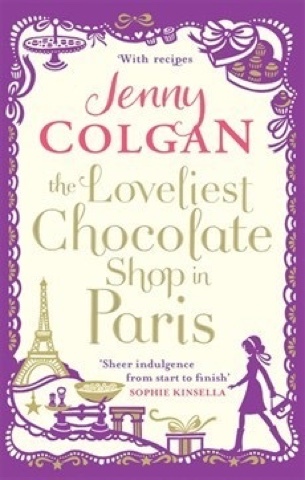 I love books by Jenny Colgan for that reason and I can't wait to read many more by her!